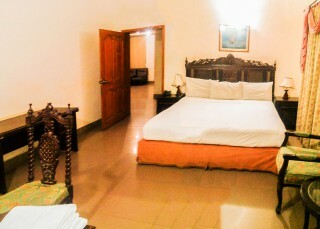 Apex Inn Guest House Standard Grade A+ is warmly inviting residential ambience with all the modern conveniences. Apex Inn is fine examples of period architecture, updated to provide modern comforts. Apex Inn Guest House Standard Grade A+ (newly started) is warmly inviting residential ambience with all the modern conveniences. Apex Inn is fine examples of period architecture, updated to provide modern comforts. Each guest is being treated with the kind of attention that is reserved for family. We make it sure that service will be followed by the staff dedication for each guest. 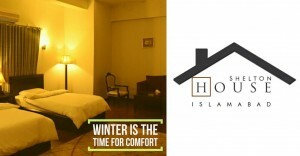 We exist to serve and provide comfort to our Guests. 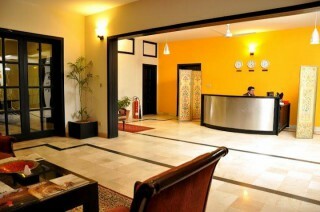 We take this opportunity to introduce Apex Inn Guest House in Islamabad. 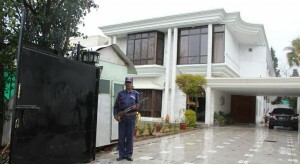 It is not just a guest house, It is home that stands proudly for our guests in the most luxurious, and yet strategic location in Islamabad, which Is ideally situated in the heart of City in F-7/2, less than 2 minutes walk away from Jinnah Super Market, 5 minutes’ drive to Centaurs, 5 minutes drive to Blue Area, Margala Hills (Damn-e-Koh & Monal) 10 minutes to Faisal Mosque. The personnel of Apex inn Guest house are totally aware of our customer’s needs, and so we provide the service that you desire. Emergency medical box, smoke alarm, fire extinguishers, Blast Fluming & 24 hours stand by UPS and Generator and much more to make your trip the most pleasant one. Conference / Meeting room is available. Complementary Juice or tea / coffee on arrival. Complementary fruit basket and flowers. Business center for our valuable business Travelers with Fiber optics connection in every room and Wi-Fi, 5MB Speed 24 hours. Pick up facility from airport, Daewoo, Railway, and Bus station etc. Maps of Islamabad, Pakistan and other cities of Pakistan. Laundry (Pressing, Single / Double). Shoe shine once a day. Same day Laundry / Dry cleaning if deposited before 10.00 a.m.
Rent-a-Car service with luxury Cars. City tours with English speaking drivers, Murree and surrounding areas can be arranged. 24 hours stand by UPS and Generator, so that you won’t be experiencing Power Breakdown. All rooms are artistically decorated in light colors and outfitted with well-chosen art and furnishings. NWD and International and Fax facility. Conference / Meeting room for 35 –45 persons, with necessary equipments. Kitchen offers a variety of superb dishes like Pakistani, continental, Italian, Turkish, Afghani, Thai and Chinese food Round the clock. You can reserve the room by E-mail, Fax or simply by calling us on cell number, +92 345 5280009, +92 51 2731031, e-mail: noamankhan84@gmail.com If you provide us with guests’ coming schedule, we assure our representatives will be at the Islamabad International Airport, Daewoo, Railway Station and Bus station etc. to welcome them, with their name displayed on Apex Inn Guest House. We look forward to welcome you and your distinguished guests.